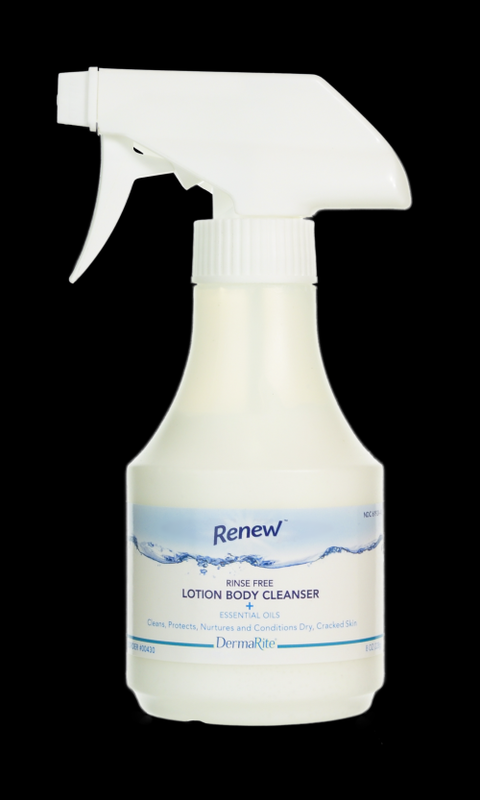 Renew™ Lotion Body Cleanser is a gentle alternative to soap and water. Fortified with dimethicone to clean, protect, moisturize and restore delicate skin. Ideal for frequent cleansing and incontinence care. pH-balanced. Rinse-free. Renew™ Rinse-Free Lotion Body Cleanser is for use in frequent cleansing and incontinence care. Store at room temperature (59°F-86°F).